Exceptional location and upscale amenities for this 2 bedroomed apartment facing the Palais des Festivals and enjoying a beautiful sea view. The apartment of over 80 m² consists of a living room with contemporary designed kitchen, 2 bedroomswith their bathroom, and terraces. Sold with a underground parking. 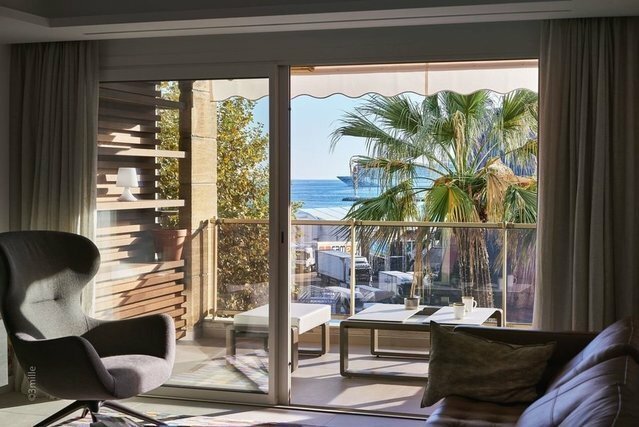 This luxury apartment is an excellent rental and seasonal investment, located a few steps from the sea, the Croisette and its luxury boutiques, and the famous Rue d'Antibes. A luxury apartment proposed by Côte d'Azur Sotheby's International Realty, sale of apartments and luxury villas in Cannes.